These earrings are ideal accessory for T-shirts,denims,casual wear, knitwear. They are made with combination of green wooden beads, green wooden flowers,green glass spacer beads, metal findings. 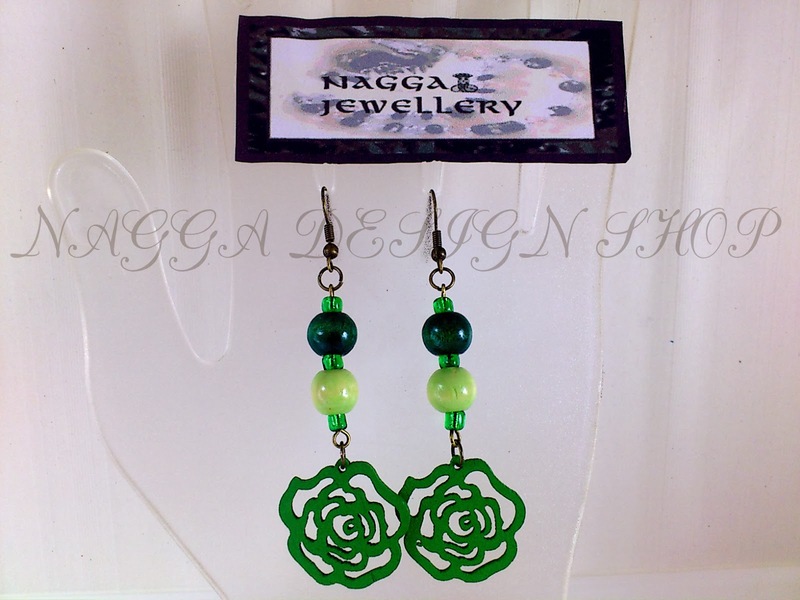 You will receive our specia lhandmade Nagga Design Shop gift bag with each piece for free.